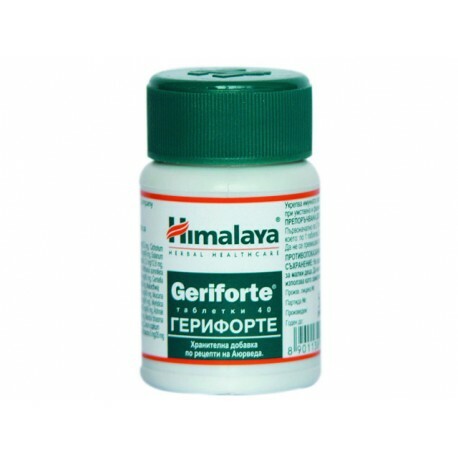 Geriforte has a beneficial effect on the mental state, helping to reduce anxiety and tension and to strengthen sleep. Acts generally on the body, rejuvenates body and spirit. Supports the functions of all body systems and organs. Provides many minerals and vitamins in a natural form, the purpose of slowing down degenerative changes and stimulating cell regeneration, which generally diminishes with age. Helps to slow the physiological changes that occur in the body with the passing of the years. Helps the use of hormones, increasing the amount in the tissues of free hormones, without affecting the general hormonal level. 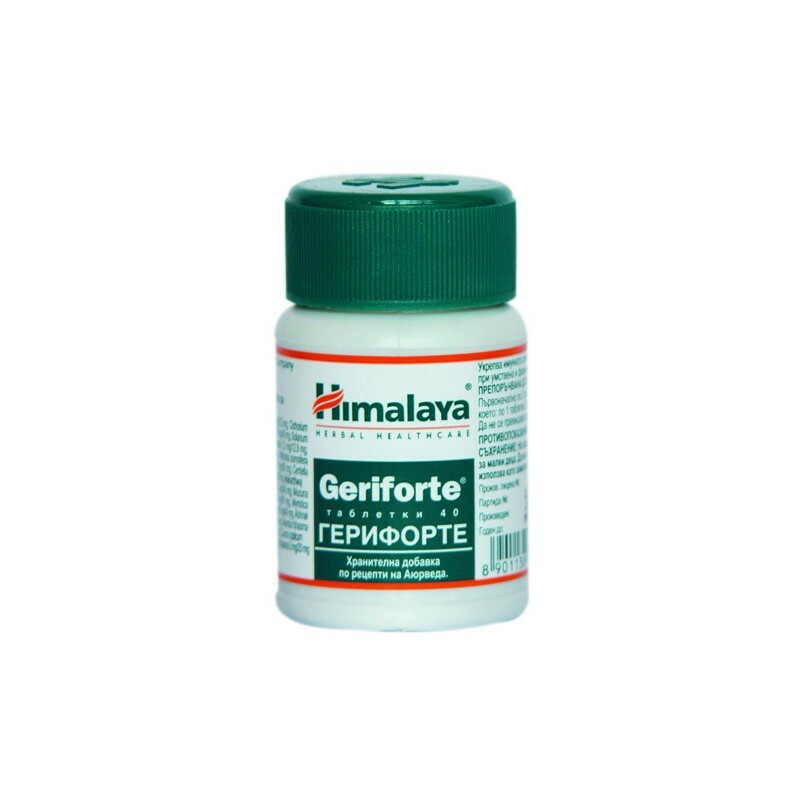 This is one of the ways in which Geriforte influences climacteric complaints in both men and women. Helps improve heartbeat and blood circulation and helps reduce elevated serum cholesterol and triglyceride levels. This reduces the risk of developing atherosclerosis, affects the appetite, digestion and absorption of nutrients, while supporting the metabolism of fat and carbohydrates. Helps to restore reduced sexual functions, increases muscle tone and slows aging skin and mucous membranes, stimulating cellular regeneration. Has a beneficial effect on the mental state, helping to reduce anxiety and tension and to strengthen sleep. Supports the recovery of the organism after a severe illness or after an operation, supports bone healing for bone fractures. Helps to increase physical capacity and mental capacity, helps improve immune protection of the body, contributes to the removal of pains in different parts of the body, increasing with age. Initially, two tablets twice a day, after which a maintenance dose is given: 1 tablet three times a day.